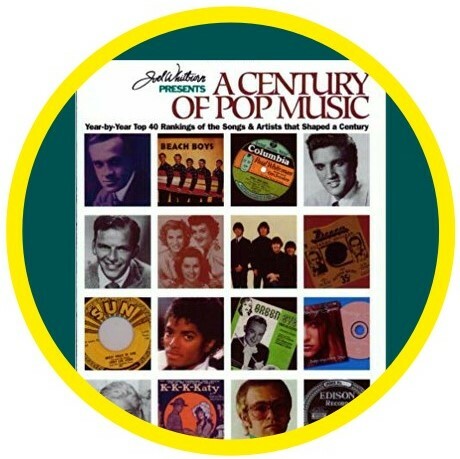 A Century of Pop Music is a book published by Joel Whitburn’s Record Research. It ranks the top 40 songs of every year from 1900 through 1999 based on weekly Billboard pop charts. In December of 1999, the urban-oriented American magazine Vibe published its list of the 100 essential albums of the 20th century, as determined by the Vibe staff. Surprisingly, a link to that list has proved elusive. However, you can find the original article through Google books here. The albums were not ranked, so the list below is organized in alphabetical order by artist. Note: because many of these are compilations, the date of release may be adjusted to reflect the years represented by the collection instead. For example, Sam Cooke’s collection The Man and His Music was released in 1986, but only covers material through 1965, so the latter date is the one used. Originally posted October 23, 2011. When Santana hit #1 on the pop charts with “Smooth”, it marked the 30th anniversary of his chart debut on the Billboard 100 and the longest span in chart history between an artist’s chart debut and first trip to #1. SF In October 1969, “Jingo” became Carlos’ first hit, albeit it a minor one with a peak at #56. Over the next few years, he had notable hits with “Evil Ways” (#9), “Black Magic Woman” (#4), and Oye Como Va” (#13). He regularly landed top 40 hits during the 1970s, but by the 1980s, his success with singles had dwindled. He landed only five songs on the Hot 100 during the entire decade, although “Winning” and “Hold On” were top 20 hits. Arista Records’ chief Clive Davis, who had worked with Santana at Columbia Records, signed him to record an album with an all-star guest roster. Santana had been fronted by many lead singers over the years, but this was a new approach. Among those lending their aid to Santana’s comeback were Eric Clapton, Cee-Lo Green, Lauryn Hill, Wyclef Jean, Dave Matthews, and Rob Thomas. Thomas was one of the hottest names around as the front man of pop-rock group Matchbox 20. His co-writing and singing on “Smooth” launched one of the most impressive career resurgences in chart history. 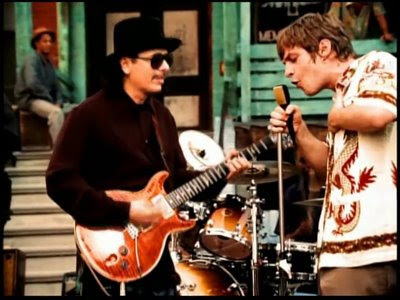 With “Smooth”, Santana didn’t just land the biggest hit of his career, but the biggest pop single of 1999. WHC In its 2008 run-down of the biggest hits in the fifty-year history of the Hot 100, Billboard magazine named it the #2 all-time song on that chart. BB100 “Smooth” spent a dozen weeks at the chart pinnacle and a grand total of 30 weeks in the top 10.